I’m excited to have one of my closest friends guest posting on the blog today about floral arranging, please welcome Navya from The Little Flower Cottage! I’m super excited to be posting over here on my dear friend Kate’s fabulous blog today. When Kate mentioned to me that she was interested in having me share some tidbits about seasonal flowers I jumped at the chance to share with you a little of what I’ve been working on lately. Spring is such an amazing season for flowers, there are so many gorgeous blooms to choose from. 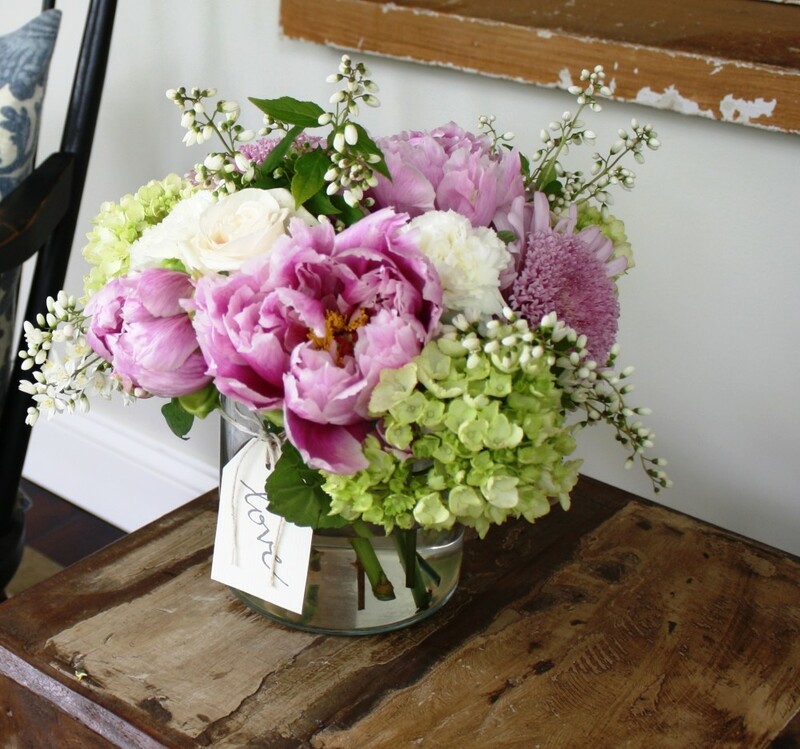 I know that peonies are a personal favorite of Kate’s, so that’s what we’re going to focus on! Their season is extremely short but perfectly timed for those lovely Spring Weddings — and of course Mother’s Day! I made these arrangements & bouquets with both in mind. 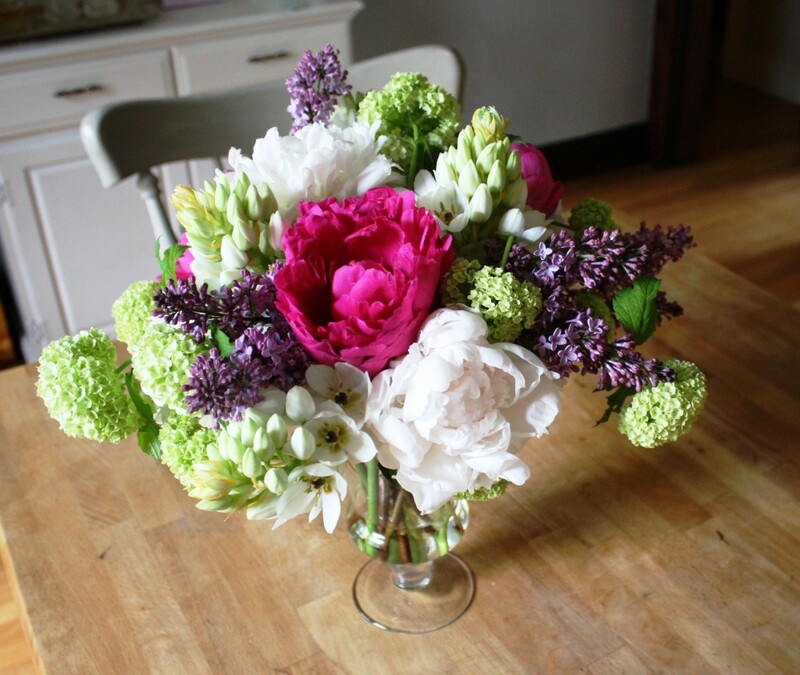 These arrangements and bouquets were made with peonies in various colors, greenery from my garden, lilacs and viburnum . I’m thrilled to say that I’ll be helping Kate create her flowers for her own Wedding next May and you can bet Peonies will be making an appearance!